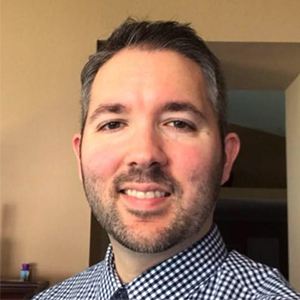 From writing programs on a calculator in high school and coding in college to the successful synergy of technical abilities and business management, Southern Illinois University Edwardsville alumnus Tyler Douthitt has honed his skills and become an entrepreneur with a rapidly growing international business. “I had always wanted to build a business on top of my coding abilities,” said Douthitt, who earned a bachelor’s in computer science from the SIUE School of Engineering in 2005. “I had my first domain registered when I was 17, right as the internet bubble was growing. Douthitt’s entrepreneurial knack was fostered by his father who also ran a family business. That personal learning experience combined with his academic education have aided in his success. “At my parent’s family business, I got good at sourcing products at the right prices,” he explained. “This led me to experiment with different products to sell on the side. I bought and sold various goods through Amazon and eBay. “You have to think hard and work hard. Talent is great, but talent without hard work will always underperform,” Douthitt said. “I don’t play long-term. I play super long-term. Being among the first to see where things are going helps me. Douthitt is also documenting his “high growth journey” in order for his kids, future grandkids and the public to see how an authentic person can grind out a living and grow a business.